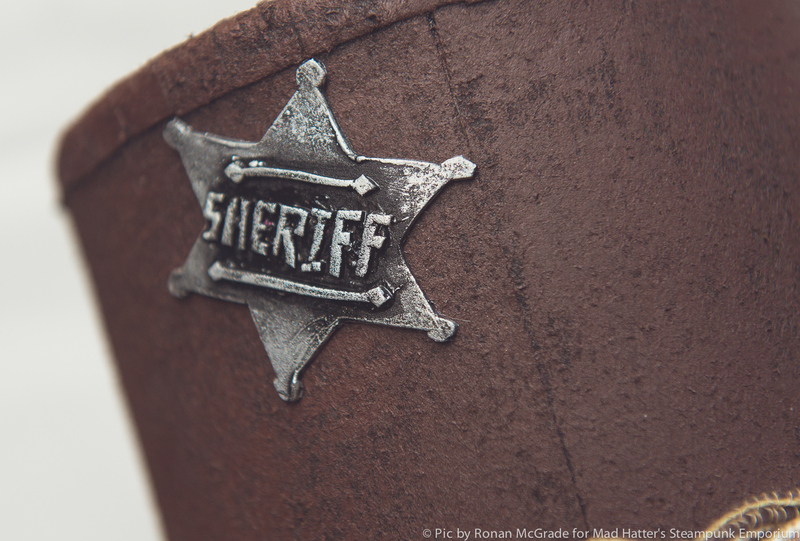 The West wasn’t wild until this Sheriff came to town! 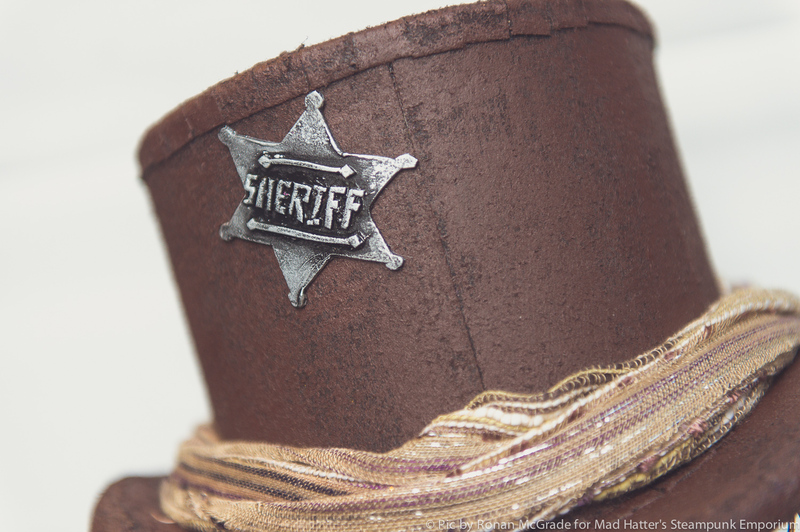 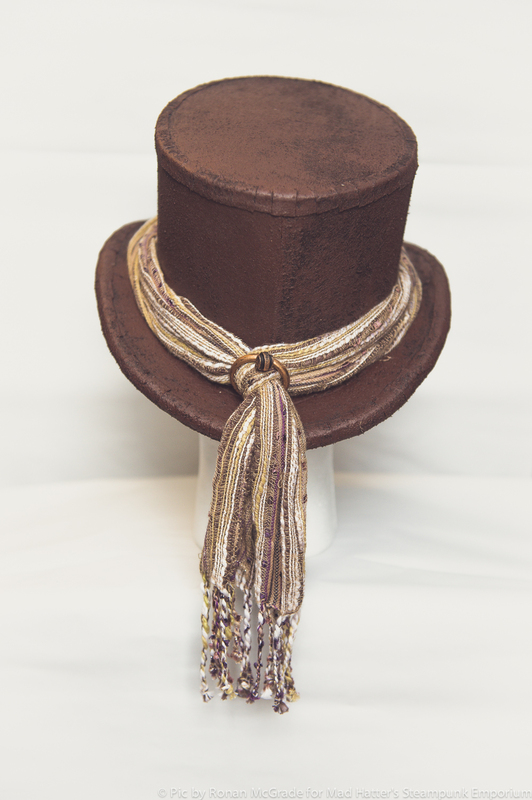 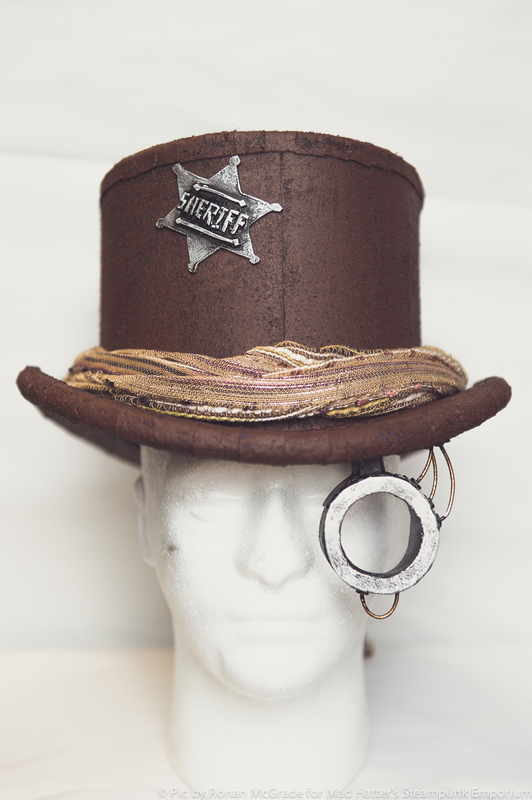 Control the Old West, gun­slinging style, in this brown top hat with matching scarf and sherif motif. 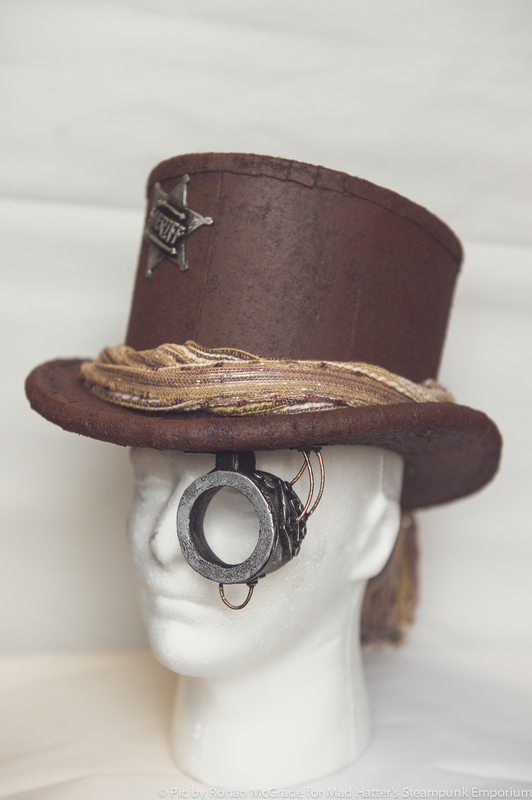 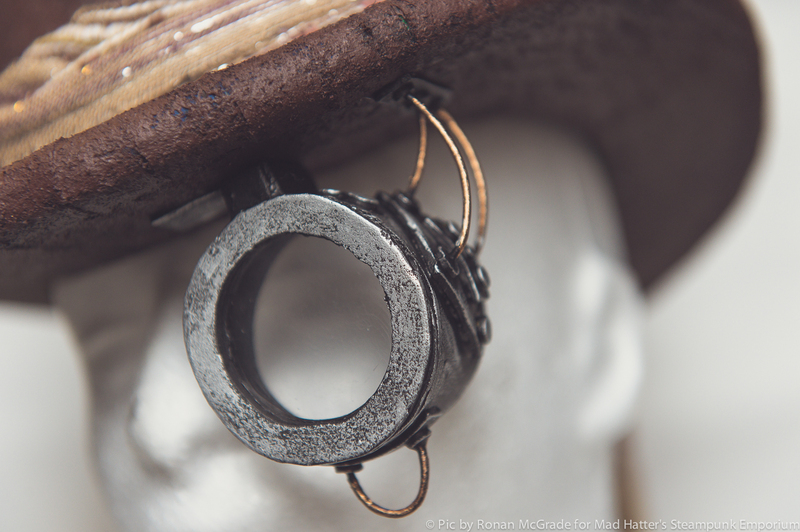 The attached silver coloured monocle will help you see the whites of your enemies’ eyes. 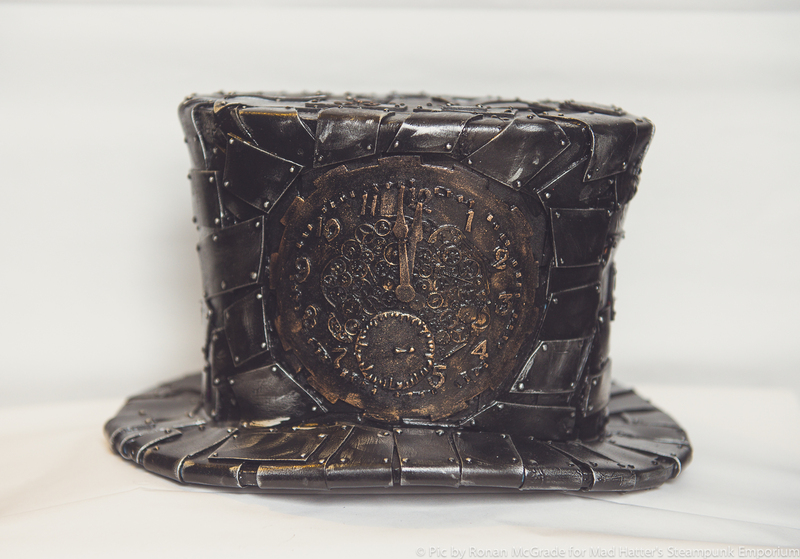 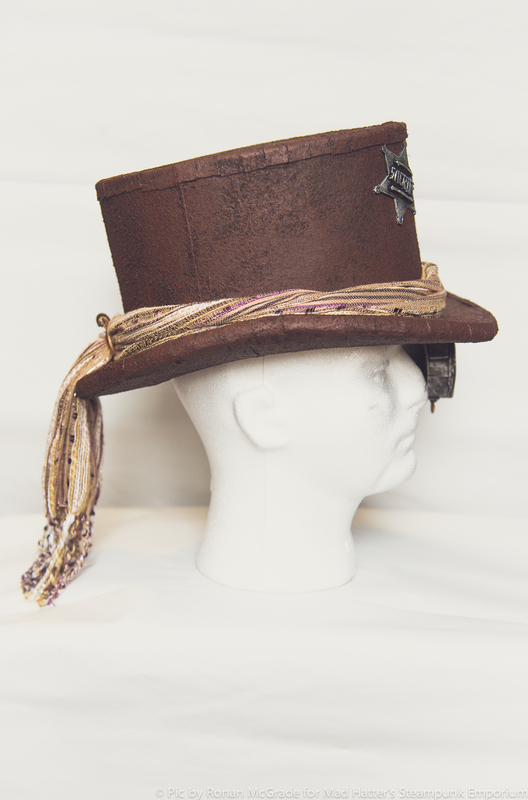 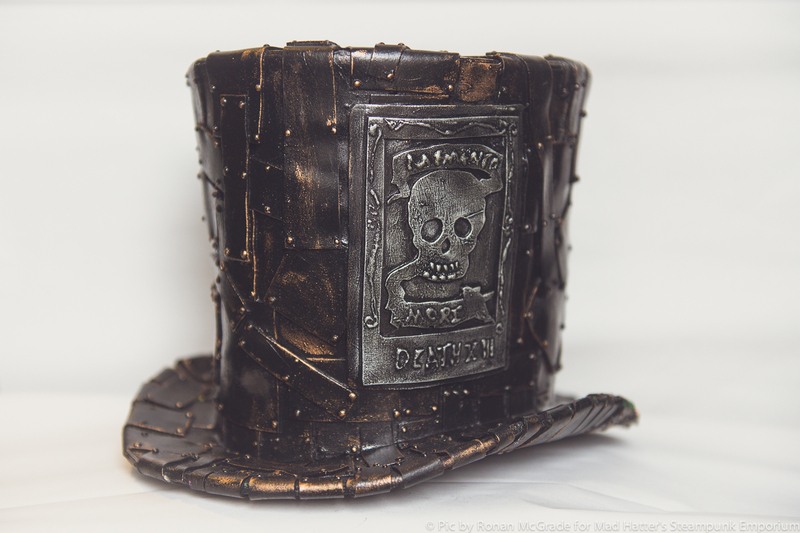 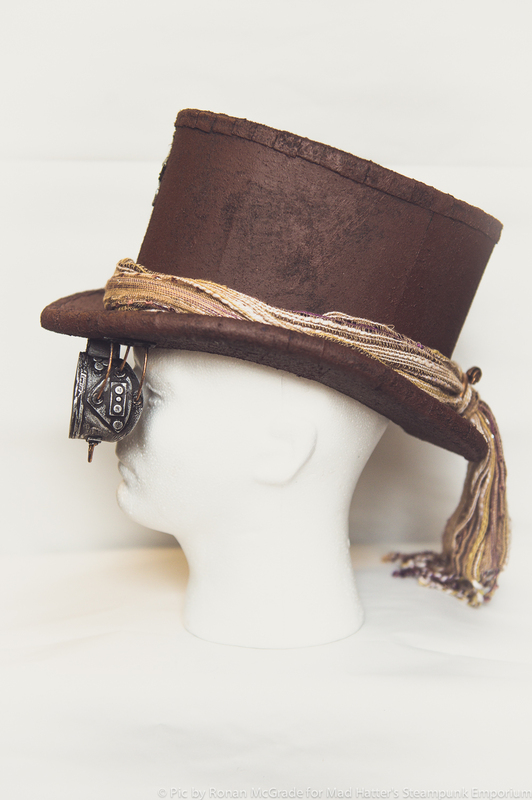 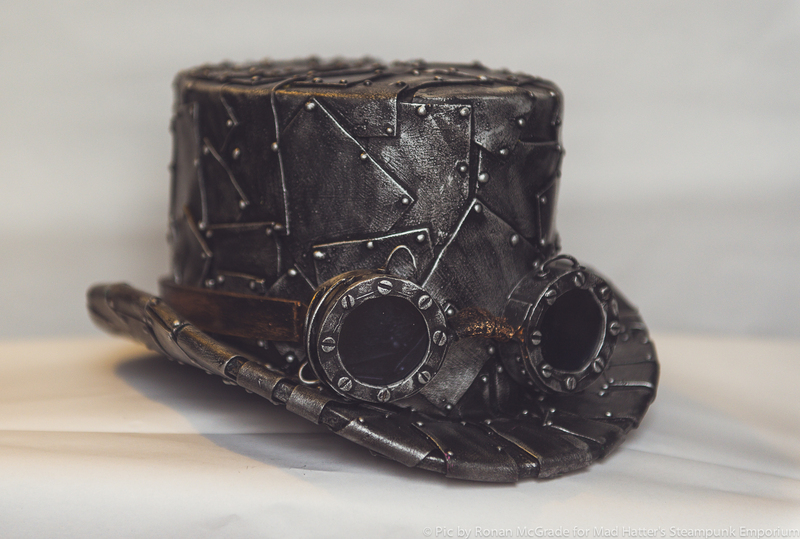 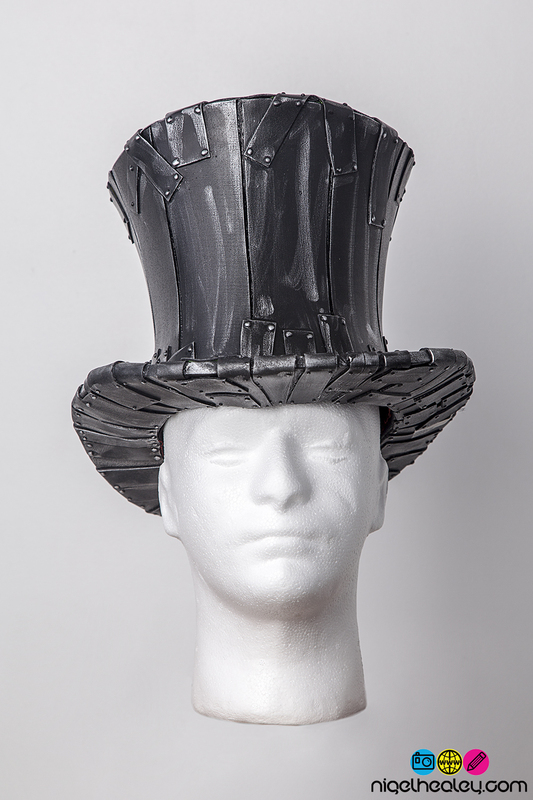 Click on the Sizing and Material Information link to view available top hat sizes.